110! Wow. I guess that was a trial by fire, huh? I love going to the theater in the afternoon to get out of the heat. Love Jules's nails by the way, very patriotic. Have a happy 4th you two! Thanks Katie. 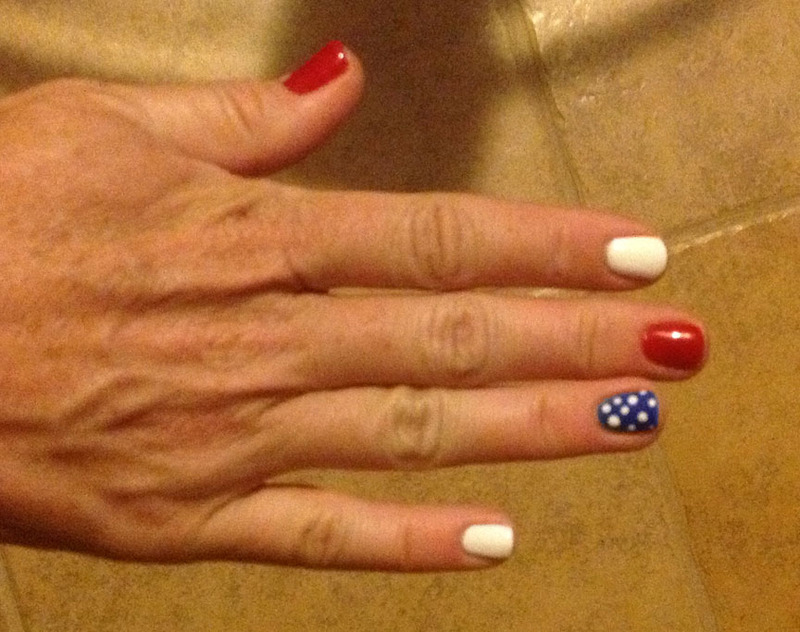 I am jealous of Jules' nails, she did come up with a great idea. I hope you also have a great 4th! I like the dress but the thought of being out and about in a wig with the appropriate undergarments in this heat is a bit much.